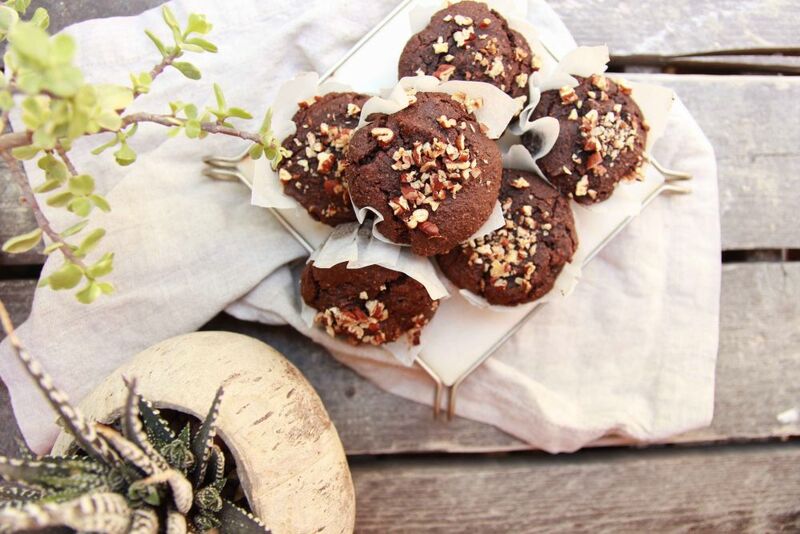 Chocolate Bliss Balls With Roasted Almonds! Great, now that I have your attention, that’s exactly what we’ll be making today. 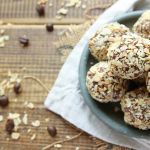 Super easy, quick to make, coffee infused chocolate bliss balls, with lightly roasted almond flakes! But be warned, because these bliss balls are addictive. So, let’s brighten up our snack time, and whip up a batch! Who’s with me? Heat a saucepan, on low heat, then add the almond flakes. Keep an eye out, tossing the pan every few seconds, until they’re lightly golden brown, then transfer to a small bowl, and set aside. Place the medjool dates, pits removed, into a food processor, and blend to a paste. Next, add half of the almond flakes, together with the cocoa powder, vanilla, almond butter, and blend, until combined. In a small bowl, melt the instant coffee, with the hot water, mix, then add to the food processor. Give it a few pulses, until combined, then take your mixture out of the food processor, and place in the fridge for 10 – 15 minutes to chill. Next, take your mixture out of the fridge and roll into 12 chocolate bliss balls. Finely chop the remainder of the almond flakes, and place into a small bowl. Next, pop the chocolate balls into the almond bowl, and roll, until all your chocolate bliss balls are covered. Finally, pop them into the fridge for an hour to chill then dig in! 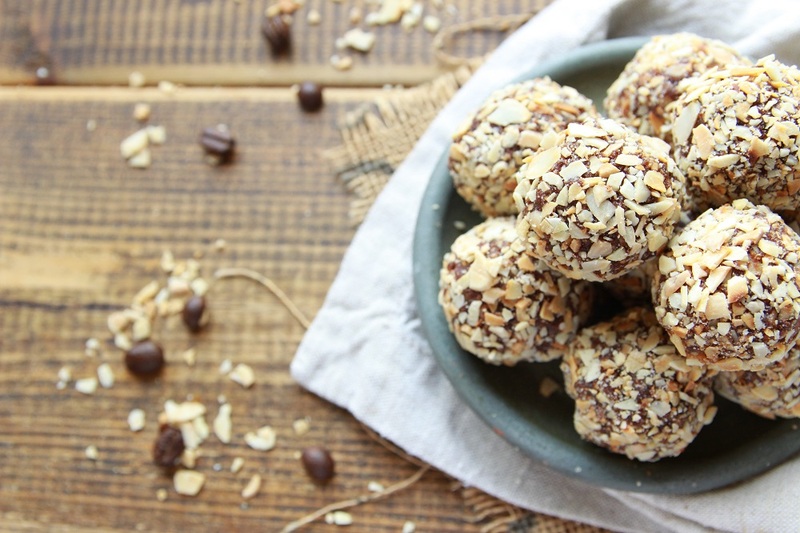 Store these chocolate bliss balls in the fridge for up to a week, in an airtight container. ← Flavorful Red Lentil Dahl In Under 20 Minutes! These look so tempting! I love that you added coffee to them. Almond flakes are thinner than slivered almonds, like sliced almonds.